Two days before several Indian freelancers, bloggers & entrepreneurs who earn some part/whole of their income via Paypal had become very sad when they heard that PayPal had stopped Electronic Fund transfer in India. There was a huge buzz about this in Social Media sites. But now, lets stop complaining because PayPal has continued the Electronic Withdrawal service in India after a gap of 2 two days wherein they provided the service too till 30th (that’s today) & they have restarted it again. So ultimately we didn’t face much of a problem except for planning PayPal alternatives! Just about an hour ago (@ 4.33 AM) I got an E-mail from Paypal informing that they have continued the Electronic Transfer service in India as many customers, clients complained and PayPal heard it. So certainly, it proves that Social Media has some effect on a company on how it keeps its customers satisfied. Below is a copy of the mail I received. For any enquiries, please contact PayPal customer support by logging into your PayPal account and clicking on ‘contact us’ at the bottom of the page. They have not only restored the service but also have mentioned that they will continue to refund the $5 USD’s. This news will certainly be music to ears of Internet users who were sad two days back. Just hope PayPal doesn’t give such hiccups in its service in the future. 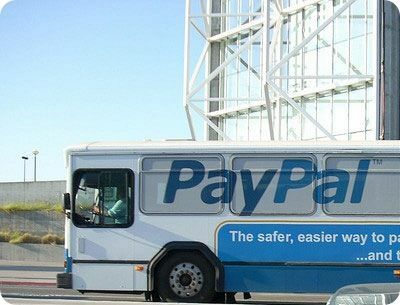 What’s your opinion about PayPal now after this big news ? Do you think they should have solved the matter coolly with the RBI without creating such a fuzz ? Thanks for this excellent post. Though I have received official mail from paypal, I would like to seek your guidance. I am a freelancer working on odesk. I have been using moneybookers.com to receive funds in Rs. I just wanted to know, if you have used paypal before, which would be the best service, in terms of currency conversion, fees/service charge and efficiency. Well first of all thanks for the appreciation..
Now coming to the point, I have used PayPal but never transferred it to my bank account..since I like to keep my money online..rather than keeping it in the bank for quick purposes. But with Electronic Withdrawal you can receive the amount in Receive directly in your bank account and only 50 Rupees will be cut as service charge for amount under 7 lakhs. I prefer PayPal, but moneybooker isn’t that bad from the reviews I have heard about it! Yup..we were eagerly waiting for this! is the cheapest way to send money! Make an electronic withdrawal from your bank account and save on fees. yup PayPal is the cheapest & the quickest way to receive money.. But sending I guess you need to use the “Mass Send option” to save on fees! Thanks for the info Sonia, though sad to hear that you faced so much trouble. I would say both ends (RBI as well as PayPal) are wrong..Just a tip, do a bit of research on things or ask for reviews before applying something! I think RBI is doing fine, coz paypal is earning a lot from india customers but not paying a single penny to our Govt. We should support RBI, this will help our country to grow. when I come to know about the paypal has stopped processing the online funds transfer to indian bank accounts, i was very much moved by that because most of income accumulates in Paypal account. But by seeing this article here I was so happy to know that this issue has been restored. Thanks to Mani and paypal. Wow, Simply just wished to say I genuinely respect your work on this Multi subject-blogging site and the top quality articles on Varoius Topics you make. These type of post are usually precisely what keeps me personally going through the day. I found this post right after a good companion of mine suggested it to me. I perform a little blogging personally and I am always pleased to observe others adding quality information to the online community. I will absolutely be following and also have bookmarked your web blog to my facebook account for others to view. Glad you found something interesting.thanks for the comment! Just go to the “Withdraw Money” tab, there you will find Electronic Withdrawals if you have linked your bank account with Paypal. Pretty old thread to bump in but yeah its worth a bump anyway 😛 Paypal has always been a prick and tried to DOMINATE just because it hasnt much competition in USA and India isnt a huge market for PayPal either so, it hardly cares about its customers in India let it be the lowest conversion fee or crappy verification system paypal hasnt got anything right and on top of that Indian users need a credit card and other than that you also need a PAN card which is REALLY Mission Impossible for students in every part of the world, so what I am proposing is switching to alternatives ,there are a couple of them like Alertpy etc, but there is something called ‘ http://www.OkPay.com ‘ which is really good and it doubles up as a source of income by its referral system too. I have created an account with Paypal two years before. They have verified my bank account one year ago. I’ve an savings account in Bank of India. Now I cant send the money via paypal. My bank doesnt support the transaction. Please guide me. I’m in much distress. I cant start working online jobs on internet. Waiting for your valuable guidance & reply. well just contact BOI Staff for the reason. Because I don’t see a reason why PP won’t allow you to withdraw once a bank is verified with your account.